Registration for Summer Semester is Open! 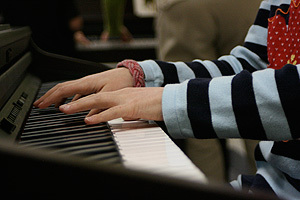 We are pleased that you are considering music classes for your child. Music is invaluable to the growth and development of children. Research has shown that we are all born with an aptitude for music, but that aptitude diminishes if it is not actively nurtured between the ages of birth and nine. 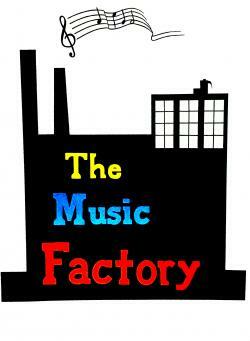 The Music Factory develops young musicians! 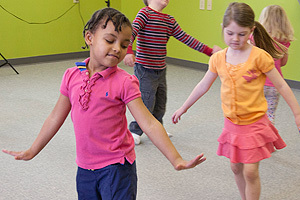 The Musikgarten curriculum is a holistic program, in that it develops the whole child - physically, emotionally, socially, cognitively, and of course, musically! At The Music Factory, we nurture the child’s music aptitude by engaging children and their families in singing and movement activities which help attune the ear, refine the voice, and develop a rhythmic body through which music can be expressed. We sing, chant rhymes, do fingerplays, clap, skip, hop and jump! We keep a beat with rhythm sticks and drums! We dance with scarves! We sing with shakers and jingle bells! Older children play resonator bars and xylophones! Bouncing songs, lullabies, peek-a-boo games, stories, poetry, listening activities, and more = FUN! © 2019 MUSIKGARTEN:: The Music Factory All Rights Reserved.